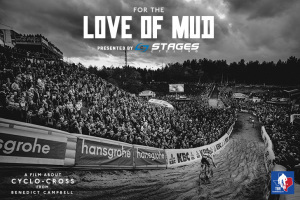 Presented by Stages Cycling and the work of British filmmaker and artist Benedict Campbell, the event will take place from 7-10 pm beginning with happy hour before the screening and a Q&A session with Benedict Campbell and many of the country’s top professional cyclo-cross racers after the movie. Much more than a race movie, the film provides a beautiful history and narrative on the “religion” of cyclo-cross. The USAC Cyclo-Cross National Championships will be held in Austin’s Zilker Park and will attract elite bicycle racers from across the country as they compete to win a national jersey in both amateur and professional categories. 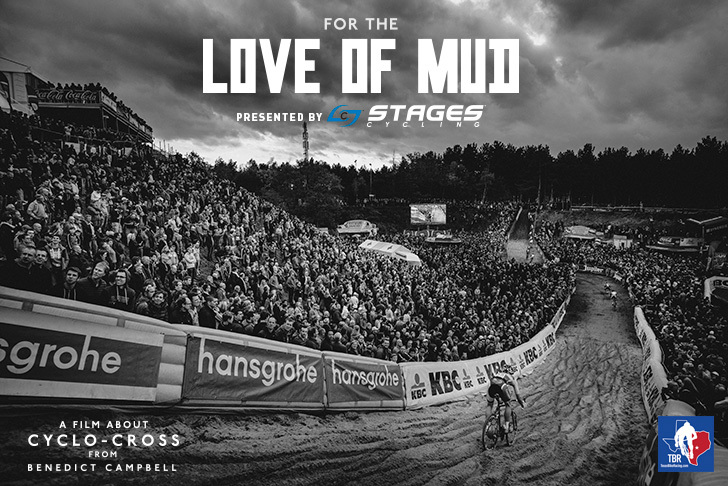 Destined to become a cult classic for our crazy sport of cyclo-cross, “For the Love of Mud” includes coverage from Cyclo-Cross Nationals in Boulder 2014, the World Championships in Hoogerheide, along with numerous Superprestige races across Europe. Interviews include top pros Sven Nys, Helen Wyman, Gabby Durrin, Jeremy Powers, Katie Compton, along with age groupers and rabid fans. Cyclo-cross is a form of bicycle racing and consists of on- and off-road courses that are held on mix of surfaces including pavement, grass, and often mud. Obstacles such as barriers, steep climbs, sand pits exist throughout the course and force racers to navigate tight spaces and turn and often dismount and re-mount the bicycle, carrying it on their shoulders if needed. The sport first began in the Flanders area of Belgium and is usually held in the fall and winter seasons, and racers use specific cyclo-cross bicycles that are outfitted to handle the rigors of cyclo-cross. Races vary in distances depending on course conditions and difficulty and usually last between 30 minutes to 1.5 hours. Benedict Campbell (www.benedict1.com) is a renowned global photographer, digital artist, and filmmaker; he has produced eye-catching imagery for the world’s leading brands and draws on a wide range of styles. When he’s not working on advertising campaigns, he spends his time making cult documentaries, such as “It Ain’t About Cav,” “Café Cowboy” and “The Wall of Death.” He’s still very passionate about riding his bike. Stages Cycling (www.stagescycling.com) is a Colorado-based manufacturer of cycling-specific power-based training meters for both indoor- and outdoor-use bicycles. TexasBikeRacing.com is the go-to source for bicycle racing in the state of Texas. The site includes race results and reports, cyclist profiles, a calendar of events, photos and more. “FOR THE LOVE OF MUD” TEASER-2 from benedict campbell on Vimeo.